Bring your home security questions to a locksmith Hucknall crew who knows. One that works hard day and night to find good deals on the vast industry market for you. And who understands well the need for fast and easy lock and security assistance without addition hassle or cost. Lock questions, security installation and alarm installation quotes. Lock checks, changes and repairs. We provide everything in the ways of locks, keys and home security for your home. Daily requirements such as key duplication and security features installation or maintenance are available at your convenience. And emergency locksmith Hucknall needs are prioritised no matter what time the clock strikes. Private residential customers are welcome. Just as commercial business customers are welcome. Burglar alarm, high security systems, monitoring, reporting, remote access, multiple access and more. Security features such as safes, gates, grills bars and more are also available for installation by the professional locksmith Hucknall technicians. Custom security solutions to fit your home or your business and assistance at any hour if you are ever in a difficult situation. Any lock, key or security questions is welcome. Quotes are competitive and clear. 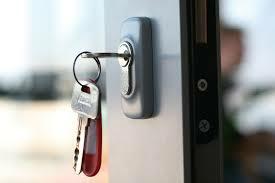 Call Swift Locksmith Hucknall to get your quotation answered or to book an appointment. Or to find the emergency lockout service you need now. And don’t forget. This dedicated and friendly emergency locksmith crew never sleeps to ensure that you always have someone to ring. Save our number for later. Or give us a call now to speak to the locksmith near you about your home or business security solutions or concerns now. Rest better at night with the right security in place. Let locksmith Hucknall help you to that peaceful state. Let us focus on the security so you can focus on what you do best.